These records provide the details of 714 East London match workers, mostly women and young people, who went on strike against oppressive working conditions and unfair treatment in July 1888. The event is now considered a milestone in the history of British trade unions. 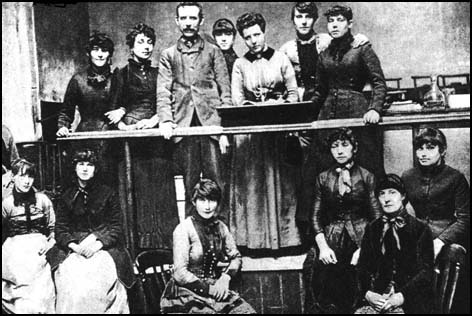 On July 27 1888, the inaugural meeting of the Union of Women Match Makers was held and a crowd of 200, mainly young girls, gathered off Fleet Street in the City of London to protest inhumane working conditions and measly pay rates imposed by the Bryant and May match factory at Bow. Match workers' open struggles went back at least to 1871, when the government had imposed a match tax, which threatened jobs, despite reported massive profits for divided holders during that same period. Match workers and supporters marched on Parliament resulting with a fierce battle with police in Trafalgar Square and the Embankment. The Match Workers Strike records reveal the names, addresses, occupations and wages of the strikers. They also tell you how much they were paid by the strike fund and detail their marital status and who they lived with. The Strike Register shows many workers had Irish names and lived near one another.